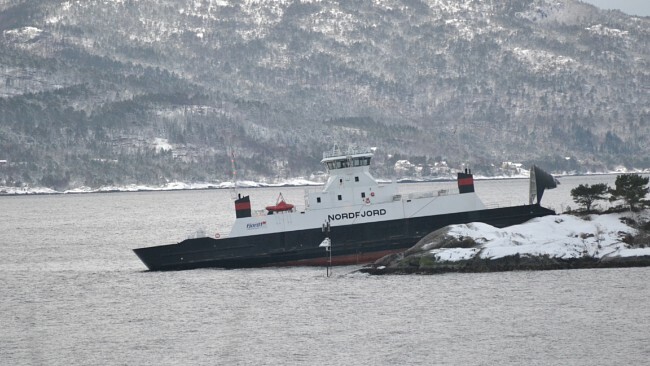 The 72 meter long, 500 dwt r0-ro ferry Nordfjord went aground onto the rocks near Rysjedalsvika, Norway. The Nordfjord was approaching the dock during a dense snowstorm during the night and steered onto the rocks. No reports of injuries to the four crew and one passenger on board. All stayed on board overnight until the next day. The ferry was pulled free and proceeded to Rysjedalsvika where divers found a hole in the bilge. No reports of pollution released. 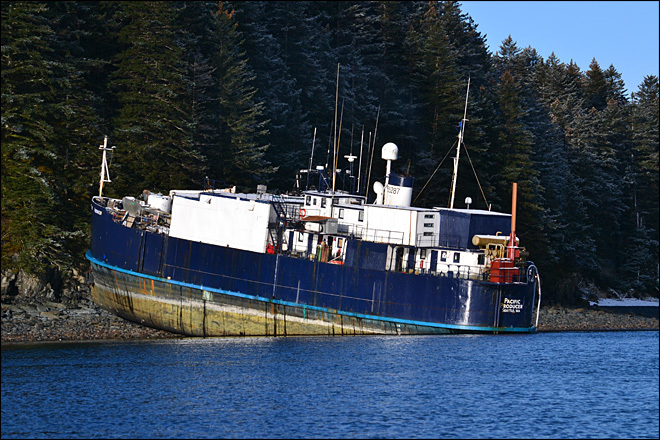 The 169 foot long fishing vessel Pacific Producer went aground on Kodiak Island, Alaska. The vessel was traveling through the Ouzinkie Narrows in 9 foot tides when it grounded onto the beach. The vessel suffered a large fracture along the hull, but no reports of injuries or pollution released. The Coast Guard is monitoring the situation on site. Salvage attempts won’t be attempted until higher tides return the following week. A good samaritan vessel help evacuate part of the Pacific Producer’s crew. Salvagers plan to remove the 10,000 gallons of diesel fuel to minimize treat of pollution. Reports state the Coast Guard has launched an investigation into the incident. 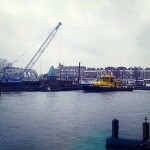 The 60 meter long dredger Albula allided with the Koninginne Bridge at Rotterdam, Netherlands. 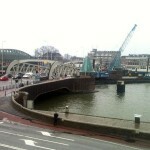 The Albula was passing under the bridge when the vessel became stuck underneath. Crews were able pull the Albula free a few hours later and bridge traffic was allowed to continue after an inspection. No reports of injuries, damage or pollution released.